Imagine a scenario. You are walking along the street and you see a couple with a small child. A man comes up to the family and begins verbally abusing them. You do nothing. The man then becomes physically aggressive, slaps and punches the husband and father and knocks him to the ground. You do nothing. The man pulls out a knife. You do nothing. In front of your eyes, the attacker slits the other man’s throat and kills him. You still do nothing. The man takes the knife to the child, and you do nothing. He then attacks the woman, rapes and murders her while you just stand there. Now, obviously, this level of apathy and inaction would be contemptible. We might understand it if it was due to extreme fear or disorientation, but it would still be reprehensible. But let’s imagine that you weren’t afraid. In fact, let’s imagine that you are yourself a powerful, well-trained, experienced fighter with absolutely superior skills, who could easily have subdued the attacker; but you consciously chose not to do so. Let’s imagine that the reason for your inaction was because you wanted to transact some sort of business with the man who was attacking the family, and you thought that if you intervened, you might lose this opportunity. Let that sink in. You made a deliberate decision to stand back and allow a horrific crime to take place, one which you had the power to prevent, because you wanted to do business with the attacker. In this type of scenario, I think we can all agree that you would be diagnosed as an extreme sociopath. Well, this scenario is, in a nutshell, what is happening today with corporate power in states where human rights abuses are rampant. Tremendously powerful entities are standing back, saying nothing, doing nothing, even claiming that they have no responsibility to act, while atrocities are being committed in front of their eyes; all because they do not want to disrupt their existing or potential profitability. In some ways, indeed, they allow these atrocities to continue precisely because they may themselves create opportunities. Any discussion about human rights is necessarily a discussion about the distribution and use of power. That should be self-evident. Advocating human rights means checking the abuse of power, and it means demanding a distribution of power; or at least demanding accountability of power; to ensure that people will be safe from oppression and persecution. Well, we are living in an era in which extreme power is highly concentrated in the hands of very few people. It is concentrated in the hands of people who are not elected into power, and cannot be voted out of power. It is concentrated in the hands of people who exist beyond the pale of democratic accountability. And it is concentrated in the hands of people who are dedicated exclusively (and legally) to use their power to serve their own private interests. In the context of this high concentration of private, unaccountable power, how can we campaign for human rights? It seems clear enough that the conventional method of merely lobbying governments or institutions like the United Nations has become obsolete. What amounts to a sort of reconfiguration of the old imperial model has emerged, with governments comprising a tier of management that is subordinate to corporate power. That is not to say that governments are irrelevant; far from it. They play a crucial role in the consolidation of power by corporations, and their enrichment. If you go down the list of the top companies on the Fortune 500 list, you will find very few that have succeeded without massive government subsidies and support. So government matters, but its primary function is as a subordinate instrument to private power. We can lobby government, but we cannot equal the level of influence over policy wielded by multinationals. That is just a fact. Government is largely incapable at this point of defying corporate economic pressure. Again, we can look at Greece. We can, in fact, look at almost any military coup that has taken place in the last 50 or 60 years, anywhere in the world, and we will see that it was carried out under the auspices of big business, and for their interests. Consider Egypt, for instance. The overthrow of Mohammad Mursi was a Neoliberal coup, which was followed up by rapid and extreme capitulation with the demands of the International Monetary Fund, against the wishes of the population, and against their better interests. The Anti-Globalisation movement of the 1990s and early 2000s fought against corporate influence over government. They wanted business out of politics. But this movement failed, and it was bound to fail. It is an unrealistic goal. Multinational corporations are not going away, and their power is not about to dissolve. We have to be practical about this. The transfer of power has happened, and it is simply not feasible to reverse it; at least not yet. We have to reconcile ourselves with the reality of a new set of power dynamics in the world today. It seems to me that the only way forward is to address ourselves directly to corporate power. We have to lift the corporate veil, and expose to the light of day that corporations are political entities, and we have to deal with them as such. We do not have to abolish corporate influence (which, anyway, we can’t) we have to, in short, democratize corporate influence. This is going to be the only way, now and in the future, that we can successfully improve the state of human rights; indeed, it is the only way that we can re-establish any semblance of democracy. So, how can this be possible? How can we impose accountability upon corporations? How can we lobby and persuade them to use their unparalleled influence for the greater good of society when they are legally and exclusively dedicated to the interests of no one except their shareholders? It seems to be an intractable conundrum. But it isn’t; not at all. When you begin to recognize corporations as political entities, you also begin to realize that their stakeholders; their workers, their customers, and everyone impacted by them or who contributes in any way, directly or indirectly, to their profitability; are also political players. Just like voters, just like political parties, just like political action committees, and so on. We are all members of corporate constituencies. Rather than party affiliation, we offer brand loyalty. Rather than political insignias, we wear logos. Rather than campaign contributions, we offer consumer purchases. Everything we do, and everything they spend billions of dollars in advertising and marketing to make us do, empowers corporations to pursue their political agendas. We have the right to expect our interests to be reflected in how they use their power. Our consumption, our brand loyalty, our labor, should earn us the right to representation when these companies pursue political agendas, and we should have a say in what they do with the power we have given them. أنت تسير في الشارع وهناك على مقربة منك رجل يقف ومعه زوجته وطفلهما الصغير، ثم يأتي رجلًا عدوانيًا ويبدأ في التهجم عليهم لفظيًا، وأنت تقف هناك ولا تفعل أي شيء. وفجأة يصرع هذا الرجل الزوج ويلكمه حتى يقع على الأرض وأنت تقف هناك وتراقب ما يحدث ولا تفعل أي شيء، ثم يُخرِج الرجل سكينا من جيبه، وأنت تقف هناك ولا تفعل شيئًا، ثم يقوم بذبح الزوج وحز رقبته، وأنت تقف ولا تفعل شيئًا، ثم يقتل الطفل، وأنت لا تفعل شيئًا، ثم يغتصب المرأة وأنت تقف هناك وتراقبه ولا تفعل شيئًا. طبعا هذا المستوى من التبلد في المشاعر وعدم الاكتراث بما يحدث من السوء بمكان، ولكننا قد نتفهم موقفك إذا كان سببه الخوف الشديد أو الارتباك، رغم أن هذا أيضًا يستحق التوبيخ. ولكن دعونا نتصور أنك لم تكن خائفًا!! بل في الواقع، دعونا نتصور أنك شخص قوي ومدرب تدريبًا جيدًا، ومن أصحاب الخبرات القتالية والمهارات المتفردة، وأنه كان يمكنك بسهولة أن تهزم المهاجم، ولكنك اخترت بوعي ألا تقوم بذلك. دعونا نتصور أنك لم تتحرك أو تتفاعل لأنك أردت أن تبيع شيئًا لهذا الشخص العدواني الذي هاجم هذه الأسرة، وأنك تصورت أن تدخلك بأي شكل سيجعلك تخسر هذه الصفقة معه!!! فقط تأمل وتفكر في هذا الموقف لبضع دقائق… لقد اتخذت قرارًا متعمدًا بعدم التدخل والسماح لهذه الجريمة المروعة أن تحدث، وكان في إمكانك أن تمنعها، ولكنك فضلت القيام بصفقة تجارية مع المهاجم. في مثل السيناريو، أعتقد أننا يمكن أن نتفق جميعًا على أنه سيتم تشخيصك حالتك على أنك شخص مضطرب ومعادي للمجتمع بشكل متطرف. حسنا، هذا السيناريو هو، باختصار، ما يحدث اليوم من قبل سلطة الشركات في الدول التي تنتشر فيها انتهاكات حقوق الإنسان. فالكيانات القوية جدا تقف بلا أي تدخل، ولا تقول شيئا، ولا تفعل شيئا، بل تدعي أنها لا تتحمل أي مسؤولية فيم يحدث، في حين أن الفظائع ترتكب أمام أعينها؛ كل ذلك لأنها لا تريد أن تؤثر على أرباحها الحالية أو المحتملة. فبشكل أو بأخر، هم يسمحون لهذه الفظائع أن تستمر لا لشيء إلا لأنها قد تخلق فرصا لهم. أي نقاش حول حقوق الإنسان هم بالضرورة نقاش حول توزيع السلطة واستخدامها، وهذا الأمر بديهي. والدفاع عن حقوق الإنسان يعني تقنين استخدام السلطة، مما سيعني المطالبة بتوزيع هذه السلطة؛ أو على الأقل المطالبة بمساءلة السلطة؛ لضمان أن الشعوب ستكون آمنة من القمع والاضطهاد. نحن نعيش في عصر تتركز فيه القوة القصوى في أيدي عدد قليل جدا من الناس، فهي تتركز في أيدي أشخاص لا يتم انتخابهم للسلطة، ولا يمكن التصويت لإخراجهم من السلطة، فهي تتركز في أيدي من يعيشون خارج أروقة المساءلة الديمقراطية، وتتركز في أيدي من يكرسون أنفسهم حصريا (وقانونيا) لاستخدام قوتهم لخدمة مصالحهم الخاصة. وفي ظل هذا التركيز العالي للسلطة الخاصة غير الخاضعة للمساءلة، كيف تتصرف الحملات التي تنادي بحقوق الإنسان؟ يبدو واضحا بما فيه الكفاية أن الأسلوب التقليدي المتمثل في مجرد الضغط على الحكومات أو المؤسسات مثل الأمم المتحدة قد عفا عليه الزمن. فقد ظهر في الأفق نوع من أنواع إعادة تشكيل النموذج الإمبراطوري القديم، مع حكومات تتألف من طبقة إدارية تخضع لقوة الشركات. وهذا لا يعني أن الحكومات غير ذات صلة؛ فهي أبعد ما تكون عن هذا. فهي تلعب دورًا حاسمًا في توطيد سلطة الشركات وإثراءها. وإذا تفحصت قائمة الشركات الكبرى على قائمة فورتشن 500 (Fortune 500)، ستجد عددًا قليلًا جدًا منهم نجح بدون المساندة والدعم الحكومي الضخم. لذا فالحكومات مهمة، ولكن وظيفتها الأساسية هي أنها أداة خاضعة للسلطة الخاصة. يمكننا أن نضغط على الحكومات، ولكننا لن نتمكن أبدا من الوصول إلى مستوى التأثير على السياسات كما تمارسه الشركات متعددة الجنسيات… وهذه هي الحقيقة المجردة! فالحكومة إلى حد كبير غير قادرة في هذه المرحلة على تحدي الضغوط الاقتصادية للشركات، ويمكنكم النظر إلى نموذج اليونان… بل يمكنكم في الواقع النظر إلى أي انقلاب عسكري حدث في الخمسين أو الستين سنة الماضية، في أي مكان في العالم، وسنرى أنه قد نُفِذَ تحت رعاية الأعمال التجارية الكبرى، ولمصالحها. وللنظر إلى مصر، على سبيل المثال: كانت الإطاحة بمحمد مرسي انقلابًا نيوليبراليًا، تلاه استسلام سريع ومتطرف لمطالب صندوق النقد الدولي، ضد رغبات الشعب، وضد مصالحهم الأهم. لقد حاربت الحركة المناهضة للعولمة في التسعينيات وأوائل القرن الحادي والعشرين تأثير الشركات على الحكومة، فقد أرادوا العمل خارج السياسة. ولكن هذه الحركة فشلت، وكان لا بد أن تفشل، لأنه هدف غير واقعي. الشركات متعددة الجنسيات لا تختفي، وقوتها ليست على وشك الزوال، وعلينا أن نكون عمليين في هذا الشأن. فقد حدث بالفعل نقل للسلطة، وليس من الممكن هكذا ببساطة أن نعكس ذلك؛ على الأقل ليس بعد. ما علينا فعله هو أن نحتوي الواقع المتمثل في مجموعة جديدة من ديناميات القوة في العالم اليوم. ويبدو لي أن السبيل الوحيد للمضي قدما هو التصدي لقوة الشركات بأنفسنا مباشرة. فعلينا أن نرفع الحجاب عن حقيقة الشركات، ليكن واضحا للجميع أن الشركات كيانات سياسية، وأن هذا هو أساس التعامل معها. ونحن لسنا مضطرين إلى إلغاء نفوذ الشركات (فهذا شيء لن نستطيعه على أي حال) ويجب علينا، باختصار، أن نحول نفوذ الشركات إلى المسار الديمقراطي. وهذه ستكون الطريقة الوحيدة، الآن وفي المستقبل، التي يمكن أن تعيننا على تحسين وضع حقوق الإنسان بنجاح؛ بل هي الطريقة الوحيدة التي يمكننا بها أن نعيد تأسيس أي مظهر من مظاهر الديمقراطية. كيف إذا نحقق هذا؟ كيف يمكننا فرض المساءلة على الشركات؟ كيف يمكننا أن نضغط عليهم واقناعهم باستخدام نفوذهم الهائل هذا من أجل المصلحة العليا للمجتمع ليكونون مكرسين قانونًا وحصريًا لمصالح أخرى غير مصالح مساهميهم؟ قد تبدوا لكم كمعضلة مستعصية… ولكنها ليست كذلك… على الإطلاق. عندما ندرك أن الشركات ليست إلا كيانات سياسية، سنبدأ بعدها في إدراك من هم أصحاب المصلحة الحقيقيين: وهم عمال هذه الشركات، وعملائها، وكل المتأثرين بها أو من يساهمون بأي شكل من الأشكال، بطريقة مباشرة أو غير مباشرة، في أرباحها… فكل هؤلاء ليسوا إلا اللاعبين السياسيين الفعليين. وهذا تماما مثل الناخبين، ومثل الأحزاب السياسية، ومثل لجان العمل السياسي…الخ. ونحن جميعا أعضاء في الدوائر الانتخابية للشركات. فبدلا من الانتماء للحزب، نحن نقدم ولائنا للعلامة التجارية. وبدلا من الشارات السياسية، نرتدي شعاراتهم على ملابسنا، وبدلا من المساهمة في الحملات الانتخابية، نساهم بشراء منتجاتهم بصفتنا مستهلكين لها. كل ما نفعله، وكل ما ينفقون هم مليارات الدولارات من الدعاية والتسويق لجعلنا نفعله، يساهم في تمكين الشركات لمتابعة جداول أعمالها السياسية. لذلك فلدينا الحق في أن نتوقع انعكاس مصالحنا على كيفية استخدام الشركات لسلطاتها. استهلاكنا، وولائنا للعلامات التجارية، وعملنا… كل هذه الأشياء ينبغي أن تكسب لنا الحق في التمثيل عندما تسعى هذه الشركات إلى تنفيذ أجندات سياسية، وينبغي أن يكون لنا رأي فيم تفعله هذه الشركات بالسلطة المطلقة التي نمنحها لهم. The #WeAreAllRohingnyaNow Campaign has begun calling upon Malaysian customers of Digi to switch their service provider to any of the local companies in protest against Digi’s parent company Telenor over their stubborn silence on the Rohingya genocide in Myanmar, where Telenor is heavily invested. The campaign has been reaching out to the Norwegian telecom company for months, encouraging them to follow the example of Unilever (which has also invested millions of dollars in Myanmar), to issue a public statement in support of UN recommendations for resolving the crisis, and calling for the protection of the Muslim minority. Unilever pledged a firm commitment and suffered no negative repercussions to its investments in the country, but Telenor has not only refused to take a public stand, but has rather adopted policies that seem to align with the divisive agenda of the regime; including an educational programme offered exclusively through Buddhist monastic schools. Tens of thousands of Rohingya refugees have fled to Malaysia and the issue of Myanmar’s ethnic cleansing resonates deeply with the majority Muslim population, who perceive the persecution as being motivated by religious bigotry. Telenor’s Digi subsidiary in Malaysia has become one of the main telecom providers in the country over the past several years, and many customers are unaware that Digi belongs to Telenor, and do not know about Telenor’s investments in Myanmar; so they have yet to make the connection between Digi and the ongoing strife in Rakhine state, and Telenor’s potential capacity to intervene. And the company surely hopes that Malaysians will never make that connection. Telenor CEO Sigve Brekke himself acknowledged his company’s power recently when he shared an article on Twitter about the enormous impact of ‘Myanmar’s telecom revolution’, yet Telenor continues to refuse to utter a single word about the internationally recognized human rights abuses committed by the regime against the Rohingya. If we want Telenor to change its stance on this issue, we have to change our stance on Telenor. 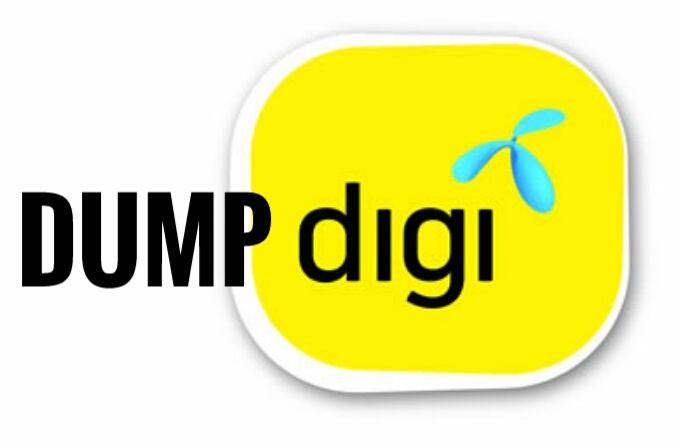 Malaysian customers of Digi need to deliver a clear message to Telenor that they will choose a telecom company that reflects their values and that cares about the issues that matter to them. Local providers such as Maxis and Celcom do not have investments in Myanmar, and customers can opt for either of them, or indeed, for any of the other Digi competitors in Malaysia that do not seek profit through indifference to the suffering of their fellow Muslims. Stand with the Rohingya and #DumpDigi today! بدأت حملة #WeAreAllRohingnyaNow في حث العملاء الماليزيين لشركة ديجي على تغيير مزود خدمة المحمول إلى أي شركة محلية احتجاجا على الشركة الأم لديجي، وهي شركة تلينور، لصمتهم المتعنت على الإبادة الجماعية للروهينجا في ميانمار، حيث توجد استثمارات كبيرة لتلينور. بعد أن ظلت الحملة تتواصل مع شركة الاتصالات النرويجية لعدة أشهر، وشجعتهم على إتباع نموذج يونيليفر (التي تستثمر ملايين الدولارات في ميانمار هي الأخرى)، حتى يصدروا ولو بيان عام داعم لتوصيات الأمم المتحدة لحل الأزمة، و ويدعوا إلى حماية الأقلية المسلمة. أما يونيليفر فقد تعهدت بالتزاماتها بشكل واضح ولم تعان من أية تداعيات سلبية على استثماراتها في البلاد، وأما تلينور فهي لم يرفض فقط اتخاذ موقف عام، ولكنها اعتمد سياسات يبدو كما لو كانت تتفق مع أجندة النظام القائمة على التفرقة؛ بما في ذلك المشاركة في برنامج تعليمي يقدم حصريا من خلال المدارس البوذية. لقد فر عشرات الآلاف من لاجئي الروهينجا إلى ماليزيا، لهذا فقضية التطهير العرقي في ميانمار لها أصداء واسعة لدى غالبية السكان المسلمين الذين يرون هذا الاضطهاد مدفوعا بالتعصب الديني. شركة ديجي – وهي شركة فرعية تابعة لتلينور – في ماليزيا، وقد ظلت واحدة من مقدمي خدمات الاتصالات الرئيسية في البلاد على مدى السنوات القليلة الماضية، والعديد من العملاء لا يدركون أن ديجي تنتمي إلى تلينور، ولا يعرفون شيء عن استثمارات تلينور في ميانمار؛ لذلك فهم لم يربطوا حتى الآن بين ديجي والصراع المستمر في ولاية أراكان، وقدرة وإمكانيات تلينور على التدخل لحل هذا الصراع، وطبعا الشركة تأمل بكل تأكيد أن يظل الماليزيون غير مدركون لكل هذا. لقد اعترف الرئيس التنفيذي لشركة تلينور، سيغفي بريك، نفسه بقوة شركته مؤخرا عندما شارك مقال على تويتر حول التأثير الهائل لـ “ثورة الاتصالات في ميانمار”، ولكن تلينور لا تزال ترفض أن تنطق بكلمة واحدة عن انتهاكات حقوق الإنسان المعترف بها دوليا والتي يرتكبها النظام ضد الروهينجا. إذا أردنا أن تغير تلينور موقفها بشأن هذه المسألة، فعلينا نحن أن نغير موقفنا من تلينور. العملاء الماليزيين لشركة ديجي في حاجة إلى إيصال رسالة واضحة لتلينور مفادها أنهم سيختارون شركة الاتصالات التي تعكس قيمها بشكل عملي، وتهتم بالقضايا التي تهمهم. فالشركات المحلية مثل ماكسيس (Maxis) وسيلكوم (Celcom) ليس لها استثمارات في ميانمار، لذا فيمكنهم أن يختاروا أيا منها، أو أي منافس آخر لديجي في ماليزيا لا يسعى للربح بدون أي مبالاة لمعاناة إخوانه من المسلمين. Telenor’s company in Malaysia, Digi, has just released their report for the second financial quarter of 2017. Despite the expected spin the company attempts with the results, the numbers are grim. Revenues are down, net profit is down, share price is down, and shareholder dividends are the lowest they have ever been. Digi, and Telenor, are struggling to adapt to the Southeast Asian market, and they are floundering. We can debate the factors that have led to the decline of the business, but at the end of the day, there is only one conclusion: poor strategic management. The #WeAreAllRohingyaNow Campaign has been reaching out to Telenor for months now, advising them that their stubborn silence on the issue of ethnic cleansing in Myanmar is alienating customers in Malaysia and throughout the region. We submit that any company must consider the mood of consumers, and respect their values and concerns. They must consider the impact their political stances (or lack thereof) have on their appeal in the market. Telenor seems to be determined to ignore this. Conventional financial advisors also tend to overlook public sentiment as a factor in evaluating the attractiveness of a company for investors. This is a serious mistake. Public opinion cannot be disregarded. It can be argued, of course, that Telenor’s decline in Malaysia has nothing to do with the Rohingya issue; but that is missing the point. Telenor’s business in Malaysia IS in decline, and there is no sign of improvement. The first quarter of 2017 was worse than the first quarter of 2016; and the second quarter is even worse than the first quarter. Telenor is obligated to increase market share, revenues, profitability, share value, and dividends. They are failing to meet these obligations with what is becoming reliable consistency. They need to do something to turn this around. Their best option in this regard would be for them to tap into the broad public sentiment for the Rohingya issue. Whatever the cause of their decline; making a positive public statement in support of the Rohingya and for the implementation of UN recommendations could win them droves of new customers in Malaysia who would appreciate the company taking a moral stance that reflects their own concerns and values. The #WeAreAllRohingyaNow Campaign would gladly encourage the public to embrace Digi if Telenor issued such a statement. No matter how you look at it, the only winning strategy for any company is to align itself with the issues their consumer constituency cares about. We sincerely advise and encourage Telenor to finally come out against the genocide in Myanmar, and endear themselves to consumers in the regional market so they can begin to find their way out of the downward spiral of dwindling profits that, otherwise, appears irreversible. أصدرت للتو شركة ديجي التابعة لتلينور في ماليزيا، تقريرها المالي للربع الثاني من عام 2017. ورغم محاولات الشركة المستميتة لتدوير النتائج، إلا أن الأرقام قاتمة. فالإيرادات هبطت، وصافي الأرباح هبط، وسعر الأسهم في نزول، وأرباح المساهمين هي أدنى ما كانت عليه من أي وقت مضى. ديجي وتلينور، تكافحان وتتخبطان من أجل التكيف مع سوق جنوب شرق آسيا. ويمكننا مناقشة العوامل التي أدت إلى تراجع الأعمال، ولكن في نهاية الأمر هناك استنتاج واحد فقط وهو: ضعف الإدارة الإستراتيجية. لقد ظلت حملة #WeAreAllRohingyaNow تتواصل مع تلينور منذ شهور، ناصحة لهم بأن صمتهم العنيد بشأن قضية التطهير العرقي في ميانمار سيبعد عنهم العملاء في ماليزيا وفي جميع أنحاء المنطقة. ونحن نقر بأن أي شركة يجب أن تضع مزاج المستهلكين نصب عينيها، كما يجب عليها أن تحترم قيمهم واهتماماتهم. كذلك عليهم أن يأخذوا بعين الاعتبار تأثير مواقفهم السياسية (أو انعدامها) على جاذبيتهم في السوق. ويبدو أن تلينور عازمة على تجاهل كل ذلك. كذلك يميل المستشارون الماليون التقليديون إلى التغاضي عن المشاعر العامة كعامل أساسي في تقييم جاذبية الشركة للمستثمرين، وهذا خطأ خطير، إذ لا يمكن تجاهل الرأي العام بهذا الشكل. يمكن الافتراض، بطبيعة الحال، أن تراجع تلينور في ماليزيا ليس له علاقة بقضية الروهينجا؛ ولكن بذلك سنفقد المقصد تماما. فأعمال تلينور في ماليزيا في هبوط، ولا توجد أية علامة على التحسن. فالربع الأول من عام 2017 كان أسوأ من الربع الأول لعام 2016؛ والربع الثاني أسوأ من الربع الأول، وتلينور ملزمة برفع حصتها في السوق، وإيراداتها، وأرباحها، وقيمة أسهمها، وأرباح هذه الأسهم. لذلك فهي تفشل في الوفاء بهذه الالتزامات بكفاءة موثقة بالأرقام. يبدو لي أنهم بحاجة إلى القيام بشيء حقيقي لتحويل هذا الاتجاه القاتم! لهذا فأنا أرى أن أفضل خيار لهم في هذا الصدد هو الاستفادة من التعاطف العام والواسع مع قضية الروهينجا. فأيا كان سبب تراجعهم؛ إن أصدروا بيانًا عامًا إيجابيًا يدعم الروهينجا ويدعم تنفيذ توصيات الأمم المتحدة، فقد يفوزون بعدد كبير من العملاء الجدد في ماليزيا ممن سيقدرون للشركة اتخاذها موقفًا أخلاقيًا يعكس اهتماماتها وقيمها الخاصة. من ناحيتها، فإن حملة #WeAreAllRohingyaNow سيسعدها أن تشجع الجمهور على احتضان ديجي إذا أصدرت تلينور مثل هذا البيان. بغض النظر عن زاوية قراءتنا لهذا الأمر، فإن الإستراتيجية الوحيدة الرابحة لأي شركة هي أن تصطف مع القضايا التي يهتم بها دوائر مستهلكوها. ونحن ننصح تلينور بإخلاص ونشجعها على أن تصطف ضد الإبادة الجماعية في ميانمار، لرفع جاذبيتها في السوق الإقليمية حتى تتمكن من البدء في إيجاد طريق للخروج من دوامة تراجع الأرباح الحالية التي تبدو وكأنها سقطت في هوة بلا قاع. Now it appears that the military occupation of Arakan may well be imminent. 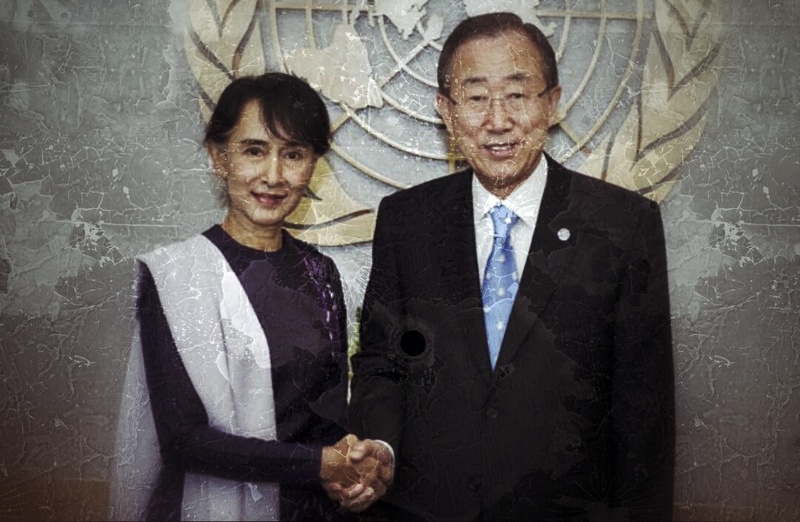 Any sensible observer who is familiar with the standard patterns that usually accompany neoliberal economic policies elsewhere should have expected this, should, indeed, have anticipated the emergence of questionable militant Rohingya groups in Arakan to advance the regime’s agenda; and anticipated that such groups would become rapidly more sophisticated, promoted, trained and funded; as has, in fact, happened over the past 5 months. This has to do with the usefulness of conflict. Armed Rohingya groups in Arakan must be viewed as instruments of the regime, whether the individuals involved in those groups are cognisant of this role or not. The reality is that they serve a function that advances, not undermines, the goals of the regime, and the goals of global power. Multinational corporations, the global owners of capital; have a stake in Myanmar and the regime is collaborating with them. One cannot, therefore, believe that the internal situation in Arakan is not being actively managed by external forces. If you are familiar with how these forces habitually operate elsewhere in the world to pursue their interests, you can effectively forecast the future in Myanmar. The only thing more depressing than how predictable it is, is our failure to see it. “لا أرى أن الحكومة تريد أن تقوم بعمل إبادة جماعية فعلية ضد الروهينجا، فما يريدونه هو الإبقاء على مشاعر الإبادة الجماعية، والإبقاء على الروهينجا كأقلية مؤهلة للإبادة، والإبقاء على الكراهية أطول وقت ممكن، فكل هذا سيساعدهم على أمرين وهم: 1) إبقاء الأغلبية في أراكان مشتتة، 2) سيوفر لهم المسوغ لاحتلال الدولة عسكريا، بطريقة تشبه إلى حد بعيد ما فعلته الحكومة المركزية في نيجيريا في دلتا النيجر الغنية بالموارد ومع ذلك نراها في غاية الفقر. مرة ثانية الأمر كله مرتبط جوهريا بمصالح المستثمرين الأجانب والشركات متعددة الجنسيات “. ويبدو الآن أن الاحتلال العسكري لأراكان قد أصبح وشيكًا. أي مراقب لدية القليل من التعقل ومعتاد على الأنماط القياسية التي ترافق عادة السياسات الاقتصادية النيوليبرالية في أماكن أخرى سيكون قد توقع كل هذا، كما سيكون قد توقع ظهور جماعات مسلحة من الروهينجا في أراكان للمضي قدما في أجندة النظام؛ وكذلك سيكون قد توقع أن تتطور هذه المجموعات بسرعة، وأن يتم تعزيزها وتدريبها وتمويلها؛ وهو ما حدث فعليًا خلال الأشهر الخمسة الماضية. وكل هذا مرتبط بجدوى الصراع، فالجماعات المسلحة من الروهينجا في أراكان يجب أن ينظر لها على أنها أدوات للنظام، سواء كان المنضمين إلى هذه الجماعات يدركون هذا الدور أو لا. الواقع هو أن وظيفتهم هذه ستؤدي إلى تقدم وتعزيز النظام (لا تقويضه) وكذلك الشيء نفسه بالنسبة لأهداف القوة العالمية. الشركات متعددة الجنسيات، وأصحاب رأس المال العالميين، لديهم مصالح في ميانمار والنظام يتعاون معهم، لذلك لا يمكن للمرء أن يعتقد أن الوضع الداخلي في أراكان لا يدار من قبل قوى خارجية. إن كنت معتادًا على كيفية عمل هذه القوات عادة في أي مكان آخر في العالم لمتابعة مصالحهم، ستتنبأ بشكل فعال بمستقبل ميانمار. الشيء الوحيد الأكثر ألما من تحقق كل ما نراه، هو فشلنا في رؤيته.